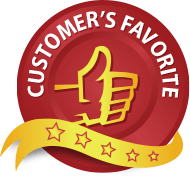 This is an in-depth review of the Turmeric Curcumin Premium. The manufacturer claims that this product uses only the best Turmeric extract in the right dosage. This product contains just the right amount of curcuminoids you need for daily use. Turmeric Curcumin Premium is a daily supplement that contains turmeric (Curcuma longa) standardized to contain 95% curcuminoids. Curcumin has become a craze nowadays because of its uses in the body. This compound is readily found in a famous Indian Spice called Turmeric, and Turmeric Curcumin Premium supplements are made from the purest Turmeric extracts available. Read on to find out if Turmeric Curcumin Premium does what it says it does. The Curcumin (Curcuminoids) in the product has been popular because of its many health benefits. Various studies have shown that Curcuminoids lessens the likelihood of developing cancers and heart diseases. Studies have also found that Curcumin helps decrease the likelihood of depression and it also improves overall mental health. The manufacturer’s website states that this product is 100% pure with no additives so that you’re assured about the potency of each capsule. Please note that this is not a vegetarian product as it contains gelatin. The manufacturer has stated only 2 ingredients on their website. Adults are recommended to take 2 capsules a day. For best results, take one capsule in the morning and one in the evening. Take the capsules 30 minutes before breakfast and dinner and drink 8oz of water. Taking Curcuminoid supplements are generally safe, but if you are pregnant, a nursing mother, under the age of 18, or someone who is experiencing any medical condition, it is advised that you should consult a physician before taking this product. The manufacturer gives people the opportunity to get more bottles at discounted prices. You pay only $138 for 6 bottles, $112 for 4 bottles, $98 for 3 bottles and if you decide to purchase only a bottle of this product, you can buy it at $48. The manufacturer of this product gives customers a 90-day money back guarantee. If for some reason you are dissatisfied with this product, you can return the bottles even if they are already opened. Customers should be the one to pay any shipping costs. The Manufacturer also states that the Turmeric Curcumin Premium has been tested by a 3rd party lab to ensure that this product works as intended. 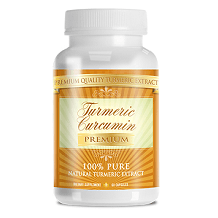 Turmeric Curcumin Premium capsules give the best percentage of Turmeric extract you can find on the market today. Each capsule contains turmeric, with 95% curcuminoids, which has been proven to prevent cancer and cardiovascular diseases. Each capsule also contains 500mg dosage of Turmeric, which gives the maximum recommended dose each time you take it. The capsules have been produced in a cGMP certified lab which is also registered by the FDA. You are also assured of the quality of each capsule because the capsule contains no additives and is completely safe. Although, vegetarians have to note that this product contains gelatin. If you are looking for one of the best Turmeric (Curcuminoid) capsules on the market, do consider buying the Turmeric Curcumin Premium capsule.